Amazon is one of the best selling platforms for budding entrepreneurs who would like to make money from E-commerce platforms. 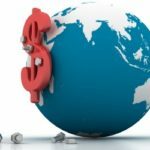 Many western sellers on Amazon today have realized the potential revenues they can make by selling goods imported from China. China is known for its economies of scale and lowers costs of production, which attracts many sellers to sell low-cost Chinese goods local consumers at attractive prices. However, ensuring the timely and safe delivery of goods from China to America is a bit of hassle. Many sellers choose to take advantage of the Amazon FBA service to save on their warehousing costs. However, again Amazon has some strict prepping rules for its fulfilment facility, which need to be followed by all the sellers. If a seller decides to redirect the goods to FBA centres directly from the supplier, there is always a risk of rejection if the suppliers fail to meet the Amazon FBA prepping guideline. This is most likely to happen due to the communication barriers common with Chinese suppliers. Moreover, redirecting goods from suppliers directly to the FBA facility does not allow the seller to run a quality check. For these reasons, a lot of Amazon sellers choose to hire an Amazon FBA sourcing service. These sourcing services handle all your packaging, prepping, storing and freight forwarding needs and saves you from a lot of potential risks and troubles. However, it is tricky to choose a good sourcing service, especially when importing goods from China. Ending up with a wrong sourcing company can result in a severe business loss. 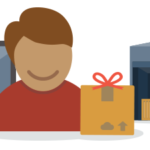 Here are a few tips that will help you choose the right Amazon FBA sourcing service for your business. 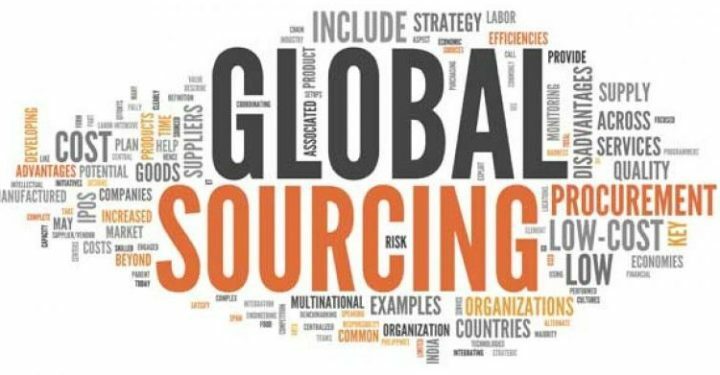 One of the first thing that you need to check thoroughly when choosing a sourcing company is their experience. Check the reviews and past records and see how satisfied their customers have been so far with the services. Some sourcing companies have experience in handling only some specific types of goods. In this case, see if they have any expertise or experience handling the type of products that you will be importing. This is because each product has different handling requirements and you would not want your inventory to end up with someone who is not experienced in handling it. No matter how experienced a sourcing agent might be in general, having relevant sourcing experience for Amazon FBA is a different ballgame altogether. Forwarding goods to an Amazon fulfilment facility mean that the goods are handled, prepared and packaged exactly in the way that Amazon expects to receive them. Failure to do so can mean a rejection by Amazon, which also means that your inventory will remain stuck up in the fulfilment centre. If you hire a sourcing service such as Leelinesourcing Amazon FBA Sourcing Service already well versed and experienced with prepping and forwarding goods to the Amazon fulfilment centres, there will be a greater chance that your goods will be processed timely and smoothly without any hassle. If you are hiring a sourcing service, there is a high chance that you might want to handle your warehousing and storage needs and send only a limited amount to FBA according to the demand. If your sourcing service is using advanced technology, such as barcoding the inventory, the overall processing time can speed up considerably. Internet-based portals such as inventory tracking systems and returns management system allow effective management of supply chain. If you are happy with your existing sourcing service and would like to establish a long-term relationship while you expand your business, you will need to consider if your sourcing agent has the capacity to cater to your expansion needs. This involves storing, prepping and forwarding larger volumes of inventory among other things. It is wise to select a sourcing service with a large capacity the very first time regardless of your business size, rather than switching to a new service every time your current sourcing service fails to meet your needs. Switching to new sourcing services not only keeps you from developing long-term relationships but will also require you to research and rely on new sourcing agents every time. There are certain times of the year, such as Christmas and Thanksgiving, when you along with other sellers will be facing a demand surge and your customers will be expecting a quicker delivery than usual. Unfortunately, at this point, your sourcing company will also be facing demand surges since they are likely to be working with a number of customers at the same time. Unfortunately, many sourcing companies fail to perform efficiently during peak times due to bottlenecks and inventory backlogs piling up. It is therefore very important for you to consider that how efficiently does your sourcing company operate during high demand seasons.